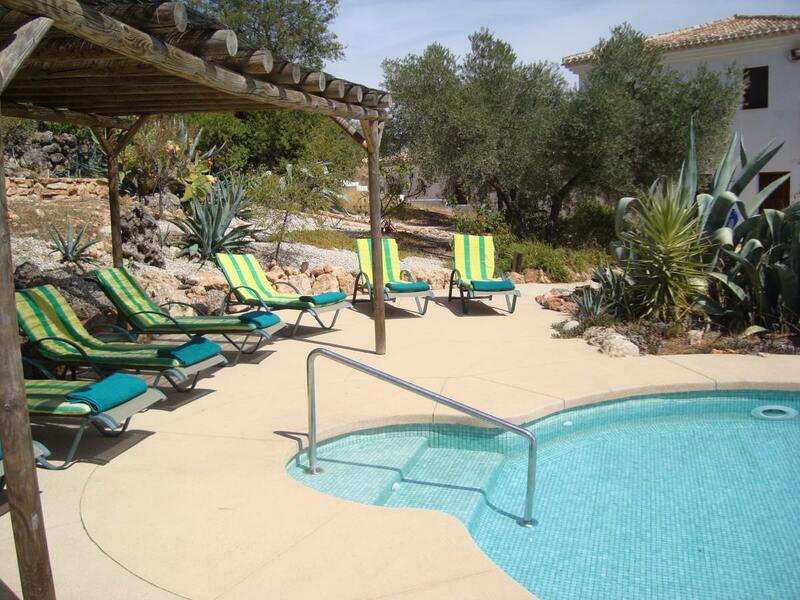 The villa was designed and constructed in 2009 with the needs of wheelchair users in mind. Till today it is a unique property in rural Andalusia with full accessibility, allowing wheelchair users and their families to experience the real Spain away from the crowds. Throughout the villa design elements were carefully chosen to enable wheelchair bound guests to enjoy the biggest independence possible. The path to the pool is level. Swimming pool with three steps (6, 8 and 5 cm) access and metal handrail (depth of pool is from 56cm to 118cm). 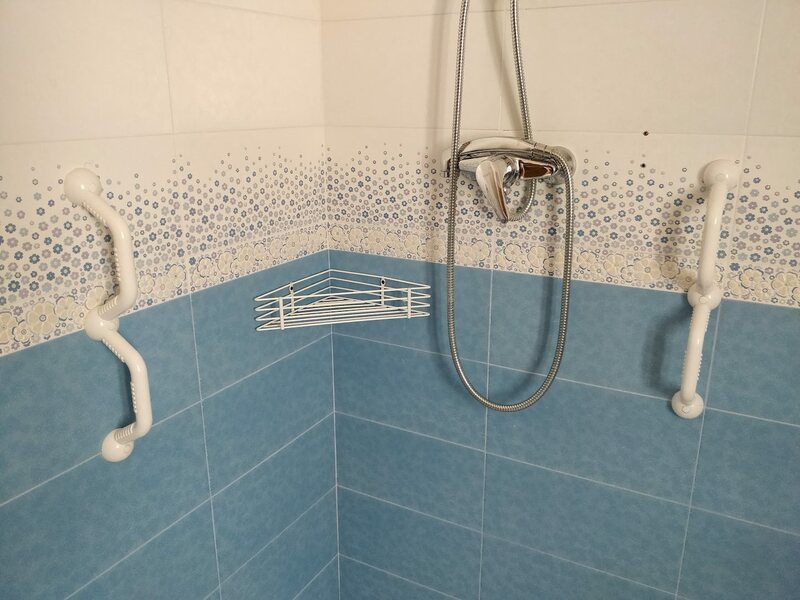 Two shower chairs are available, one with foldable arms. Shower taps are 1.2m and 1.5 m high. Doors are 85 cm wide. Powered Virmedic pool hoist (max. work load 185kg). WC is 40 cm high, toilet seat risers are available. 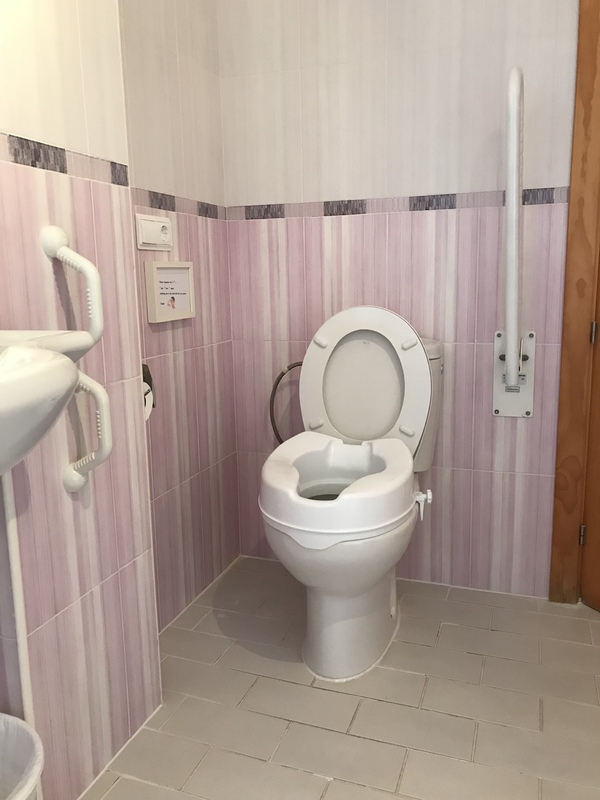 In addition to the rooms there is an accessible toilet beside the lounge as well (sliding door 85cm), with fold down rails. Disabled guests can use a plastic chair or a harness with head support to enter the pool. 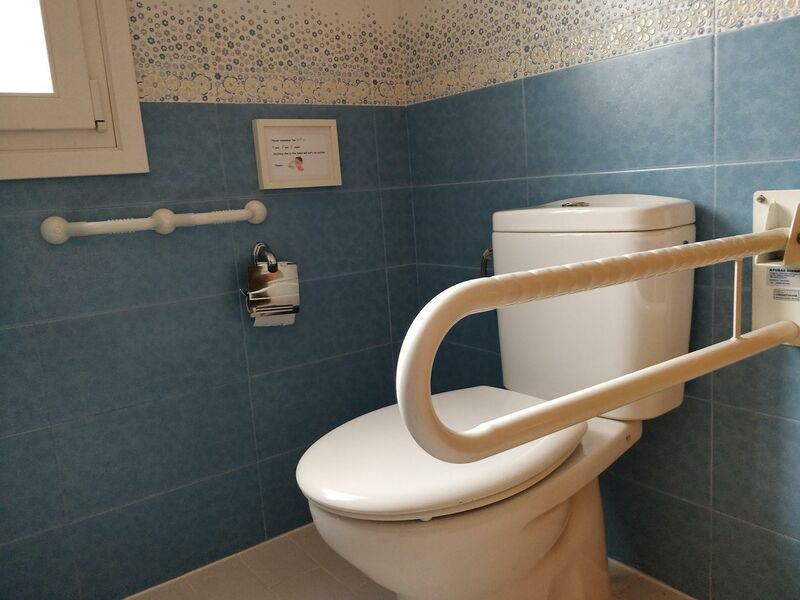 Fold down rail on one side of the WC and horizontal or vertical rails on the wall. Level access to the terrace and lounge. 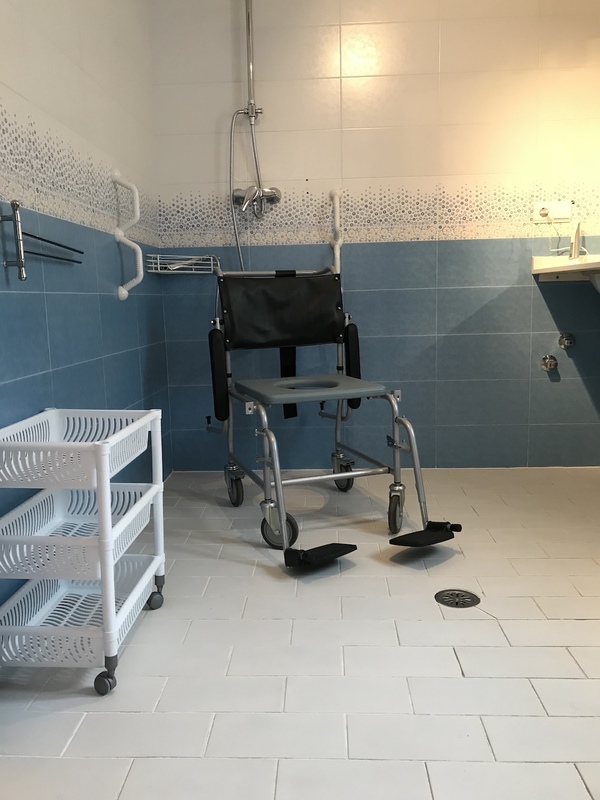 Level access shower with two vertical handrails. 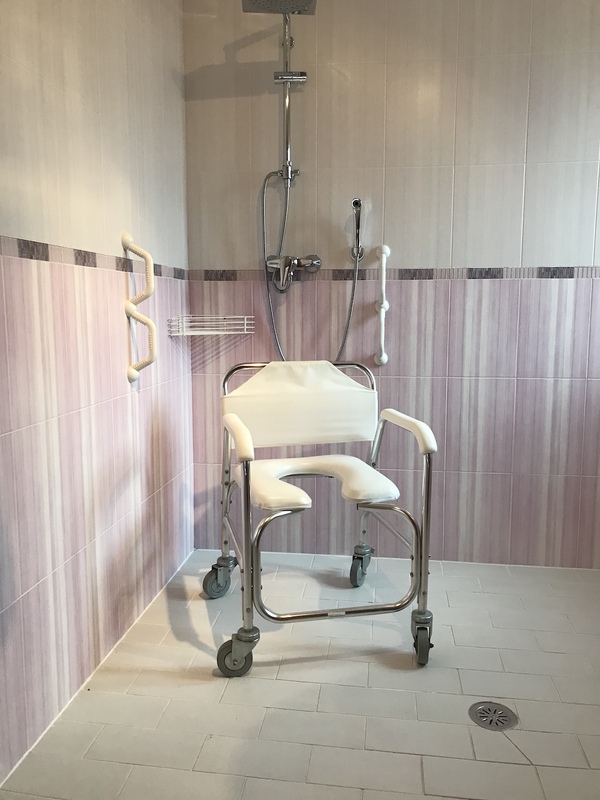 Two roll in shower chairs available, one with folding arms. Powered Virmedic pool hoist (max. work load 185kg). 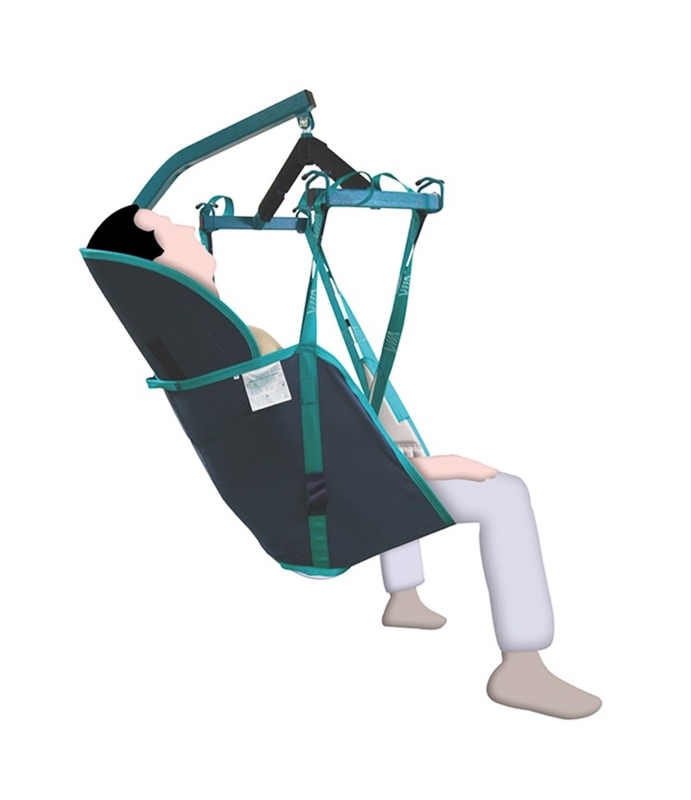 Chair and harness with head support available. Malaga Airport offers excellent assistance for disabled travellers. For more information please check out their official site here. IMPORTANT: Assistance has to be booked minimum 48 hours before flight departure. Special Assistance Dogs are welcome. Your health, comfort and safety are of the utmost importance to us. We can connect you with a locally based British carer to help you with your daily routine. We are a fully registered and legal Casa Rural and have public liability insurance. There is a medical centre in the village of Iznajar 10 minutes drive along with two pharmacies. If you need any specialised equipment, electric bed etc please contact Equipment Hire Blue Badge. They can deliver equipment direct to the villa. You can hire wheelchair adapted vehicles from Caleta Car Hire and there is a taxi company nearby with an adapted vehicle. We will do our best to ensure that your individual needs are met wherever reasonably possible.